The Catalan National Assembly (Assemblea Nacional Catalana – ANC) is a broad-based organisation comprising Catalans convinced that their survival as a people can only be achieved in an independent state as enjoyed by other nations in the world. The organisation is composed of private citizens not as representatives of political parties and we are pledged to never standing for election. Our road-map details our strategy of using clear, simple arguments to broaden social support for independence and to attract the undecided to our cause. Our territorial assemblies cover the country and work with local organisations, such as those town councils that form part of the Association of Municipalities for Independence (Associació de Municipis per la Independència) and local organisations working towards independence through peaceful and democratic means. The Assembly was constituted on the 10th March 2012 at the Palau Sant Jordi in Barcelona. During the summer of that same year, we organised a Catalunya-wide March to Independence, which culminated in the demonstration on 11th September 2012, when 1·5 million Catalans went out onto the streets of Barcelona led by the banner: “Catalunya, a New European State”. This demonstration marked a turning point in the Catalan struggle for national emancipation. A country is its people and it will be Catalan society itself that will pressure politicians into achieving what a majority is clamouring for: Independence. Present in the majority of towns and villages in the Vallès Occidental, we are still working to strengthen the ANC. 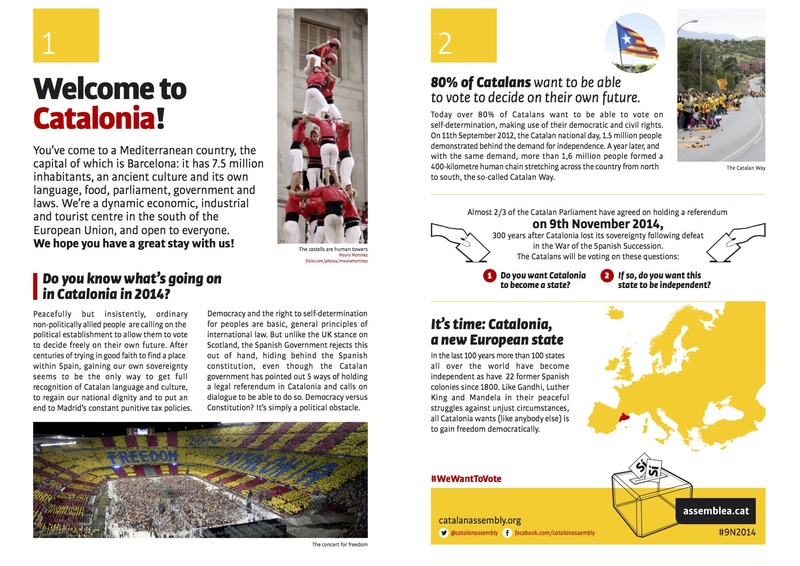 Working with the Catalan National Assembly, you too can build an new independent state.